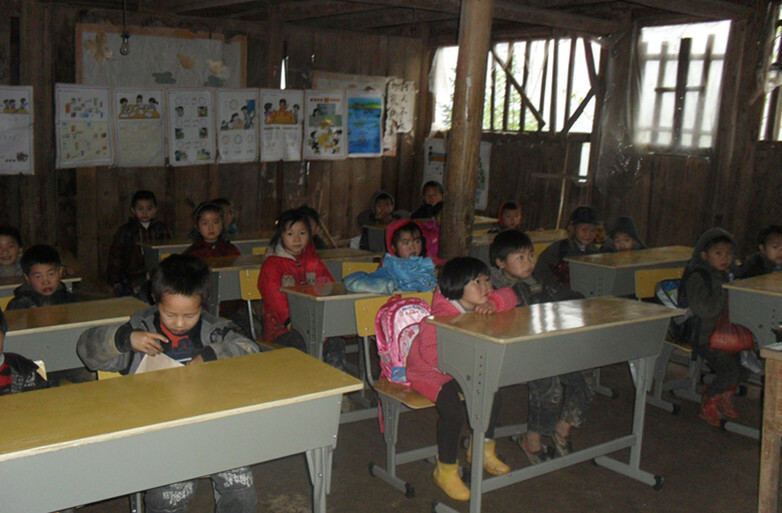 PROJECT GUIZHOU 2012 A SUCCESS! Sorry for not updating any sooner as everyone was busy with starting the new year in their own careers, then came the Chinese New Year, and I was in pain for about a month for a sprained foot. Finally we finished with the tabulations of the donors and their contributions, as well as what we spent on last year’s project. Will do that posting in the next entry. 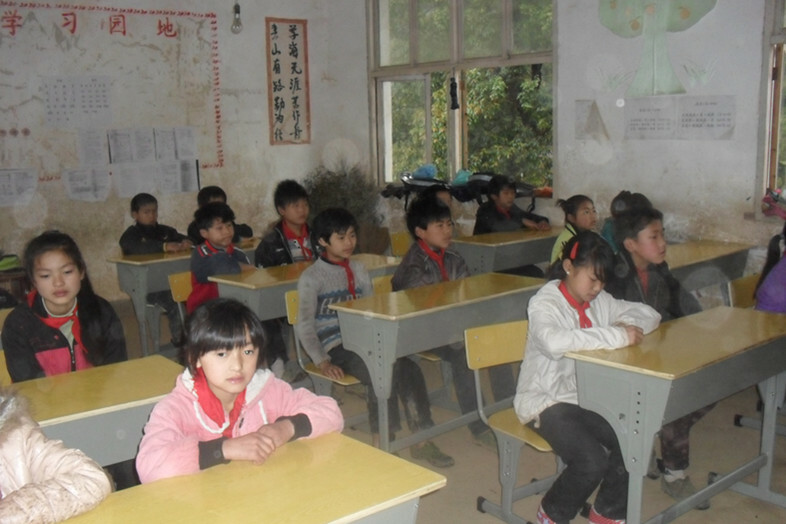 Let me talk about our trip to Guizhou. The trip was gruelling as usual and this time our bus got stuck in the mud due to extreme bad weather conditions up in the mountains. So bad that we had to walk uphill for more than half an hour and got the kids to help to pull the bus while we push from behind! Nevertheless, the trip was awesome, for those members who have not been to such trips, it was an experience that they will remember for a long time. Especially so ‘cos we stayed over for a night in the school this time round and spent more time with the kids and staff there. As usual, we gave out goodie bags to the kids when we arrived and this year we budgeted more for it. We handed out our handmade cards as well with well-wishes from all our donors for the kids. Then we played games with them but due to the limited time we had, we had to release them to go home before it got darker. We had a great dinner although some dishes were not exactly what we expected but overall it was still comforting to have hot steaming rice and our very own Curry Chicken to add to the feast. Later on that night, we wrote our well wishes on the lanterns and let them go into the dark starry sky. When it was time for bed, we were well equipped with our newly bought sleeping bags, snuggled in the wooden rooms and slept the sub-zero degrees night away. 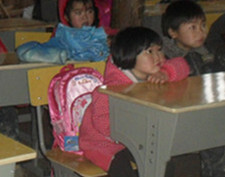 In the morning, we were awoken by the rooster crowing at 5-6am, then from 7-7.30am, the speakers in the school blasted with some Chinese nation songs… Hence we didn’t need any alarm clocks to wake us. 🙂 Breakfast was simple cup noodles and we witness the kids doing their morning exercises before they head for their classes. As we have arranged, we got the Principal to carefully select 4 students with very bad financial conditions and invited their parent/guardian to come to the school in the morning. We presented some money which will provide for the family a year of basic necessities. The worse case was this girl who lost both parents, now taken care by her grandpa, who is really old and feeble. She cried when we gave her the money and grandpa was thanking us profusely. 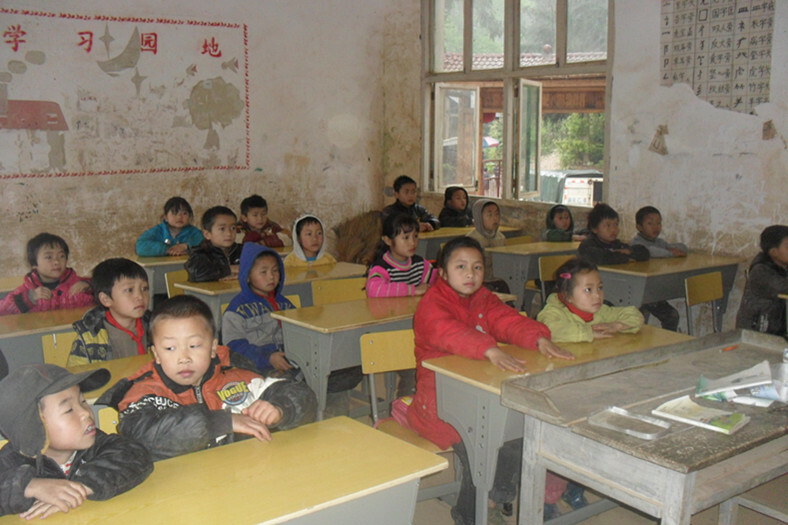 Sigh, we wish we could do more, but this is just one school out of thousands that is not well funded by the Chinese government, just because of the lame excuse of geographical disadvantages. 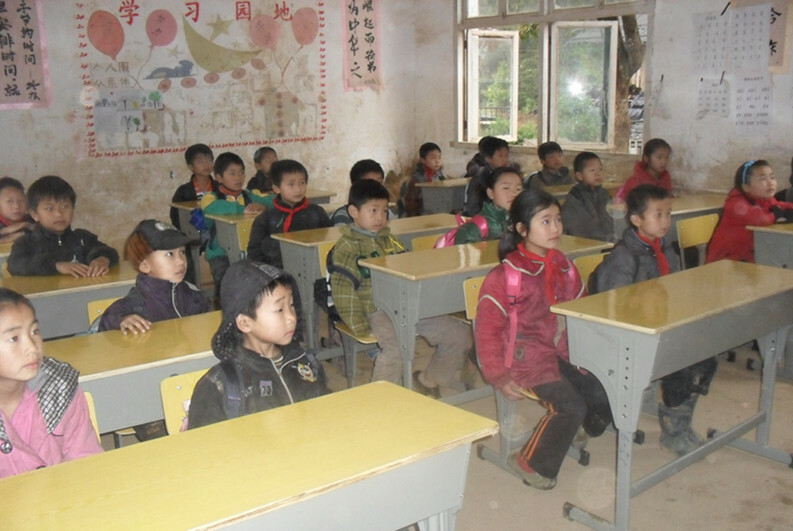 This trip will probably mark a temporary halt for our outreach efforts in China for now as we will move on to other parts of Asia to touch the hearts of other kids in hope that they will grow up and do what we do, show the kids in need our love and care. You too can do your own charity in your own way, regardless the magnitude. A little effort goes a long way and who knows, that one particular kid may be inspired and remember you for life and give back more to society than you can never imagine. Time really flies. Today 8 CGG members will be making our way to Guizhou. 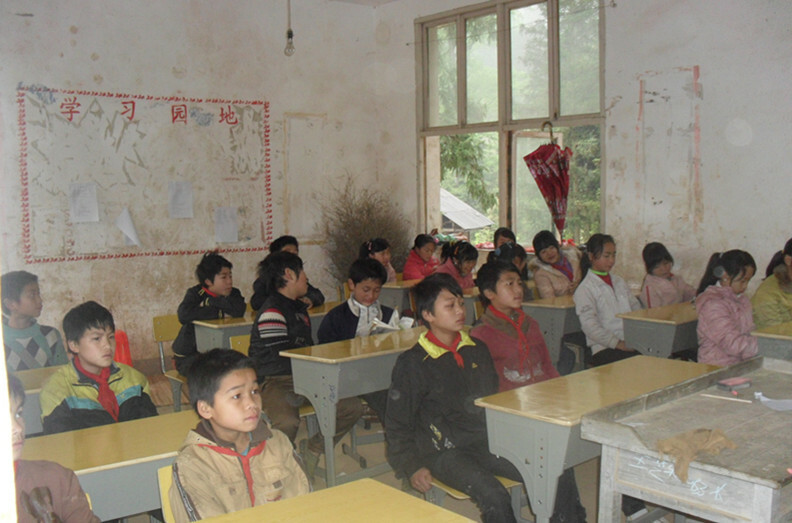 China to visit Jiamin Primary School again and to follow up on our last donations last year. The team will be heading to Shenzhen and then will be transiting another domestic flight to Guiyang, the city of Guizhou. At the city, we will be buying lots of goodies for the kids and will be packing them into goodie bags and then head off to the mountains the following day. The journey to the mountains should take around 8 hours by a chartered bus, wholly paid through our own pockets. We should be back around the 29th and we pray for our safety during the whole trip and also to say and do the right things while we are there with the kids. Please pray for us too! So help us raise more funds by placing your orders online or email now! Please include your mobile number so that we can inform you of collection date/location. Your warm generosity will be greatly felt in the cold mountain tops this December!